The Amish Youth Vision Project, Inc. The Amish Youth Vision Project, Inc. began as a task force through the Town of Shipshewana, Indiana. In 2007 the growing program incorporated as a nonprofit organization in the state of Indiana, and in 2008 received its 501(c)(3) not for profit status from the Internal Revenue Service. The Amish Youth Project proposes to lower alcohol and drug use risk behaviors among Old Order Amish youth; and to strengthen systems of family support, by creating a model intervention program for these risk behaviors. Such a program is structured to include Amish input in its initiation and planning, and primary responsibility must be held by the Amish community in its maintenance. Read more about the project and how it developed on the Our Roots page. The Vision Project responds as needs are identified by the Amish we serve. We provide education and consultation services for those working with Amish youth and family issues, and respond to questions about the Amish worldwide. Although our work is primarily with Old Order Amish, we also serve other Plain Peoples as well. 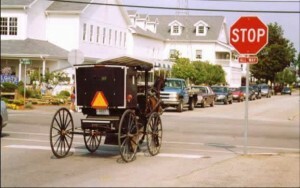 The Vision Project relies on the input of the Amish. They prefer that names not be included publicly, and we reluctantly comply. However, such merit as this project possesses would not exist without the guidance and direction they provide, and we are truly grateful for their support.